University of Maryland Shore Medical Center at Easton is featured among the Maryland hospitals recently ranked in U.S. News & World Report’s annual report on best hospitals nationwide. The Easton hospital was ranked second among the best hospitals on the Eastern Shore of Maryland and among the top 15 hospitals in the State of Maryland. 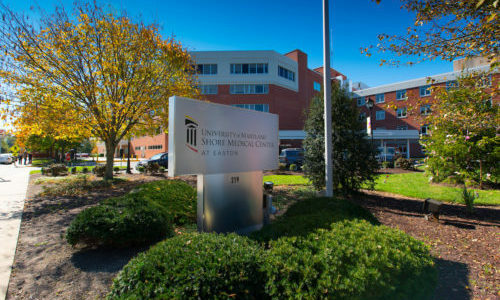 The U.S. News ranking also gave special recognition to UM Shore Medical Center at Easton’s programs for patients with chronic obstructive pulmonary disease (COPD), heart failure and hip replacement received special recognition for high quality care. Issued annually during the month of August, the U.S. News Best Hospitals nationwide analysis reviews 5,000 hospitals’ performance in both adult and pediatric clinical specialties, procedures and conditions. Scores are based on several factors, including survival, patient safety, nurse staffing and more. Hospitals are ranked nationally in specialties from cancer to urology and rated in common procedures and conditions, such as heart bypass surgery, hip and knee replacement and COPD. Hospitals are also ranked regionally within states and major metro areas.